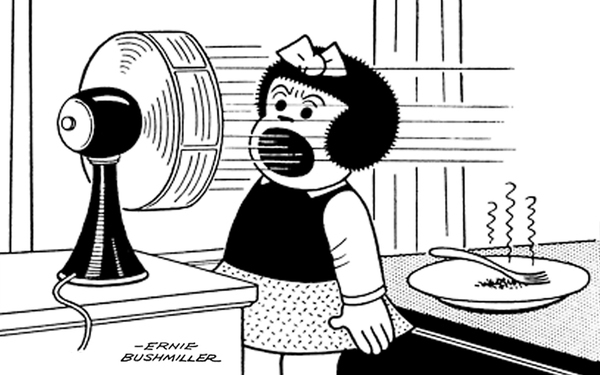 Sluggo: Look at dat gull fly away with th' clam. Nancy: How does he OPEN the clam to eat it? Sluggo: Very simple----He just looks down on th' beach--- ---And drops it on a rock or the HARDEST thing he can see. The gull is Avi-Lit !!! !